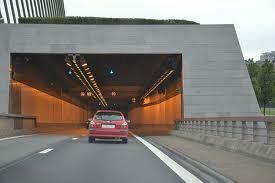 Passive fire protection for use in tunnels. 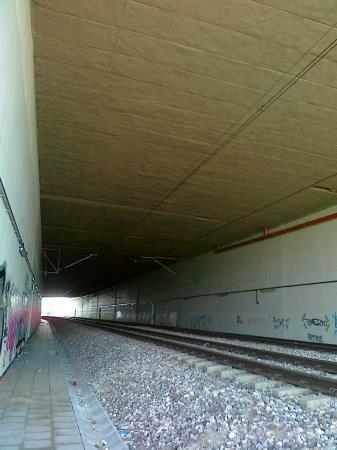 Over many years and after a number of high profile fires within enclosed tunnels in various locations around the world. The need was required to provide concrete structures such as tunnels with a fast cost effective solution of passive fire protection. In response to the growing concerns, a test was developed which provided a sound technical solution. The fire test which is now internationally recognised, is the (RWS-standard) Rijkswaterstaat. 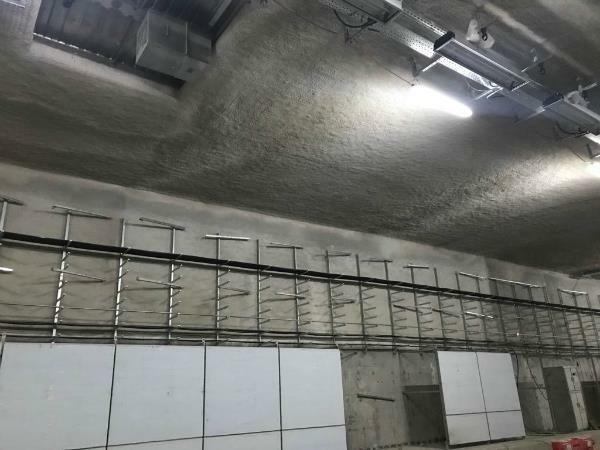 In brief, the test requires that any passive fire protection product must withstand the extreme high temperatures that are experienced within tunnels in the event of a fire breaking out, some times exceeding 1350°C. 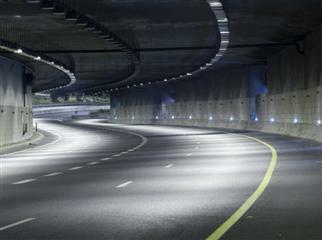 SLV external has been successfully tested to exceed the requirements of RWS when applied to both steel and concrete line tunnels. - a combined building and trafic fly-over in Leeds - UK. 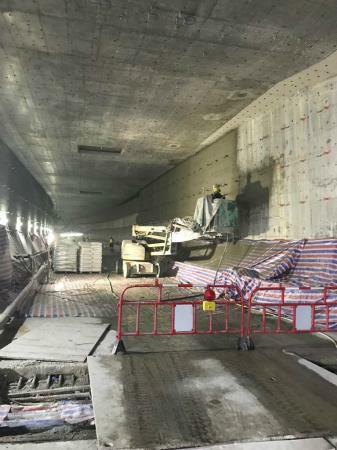 Project 2015-2016: supply of SLV External for the construction of the 'Wan Chai Bypass' tunnel in Hong Kong, this for a surface of 220 000m². The following details are provided to give an overview of completed projects and do change from time to time. Nestaan NV and it's UK based sistercompany Thermica Ltd are always working with local application contractors. 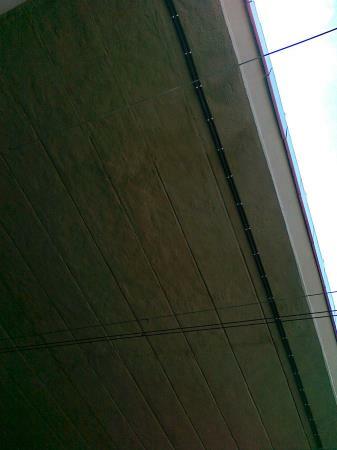 Thermica Ltd has supplied SLV External Grade material to a number of projects within the UK. 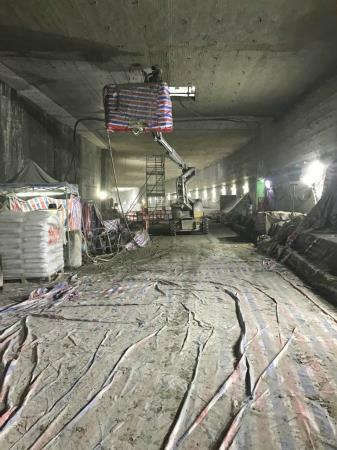 By working with these local application contractors, SLV External Grade has been applied in a number of high profile projects, including various sites around the M25 Orbital Motorway which is surrounding London, among which portions around the Holmesdale District. 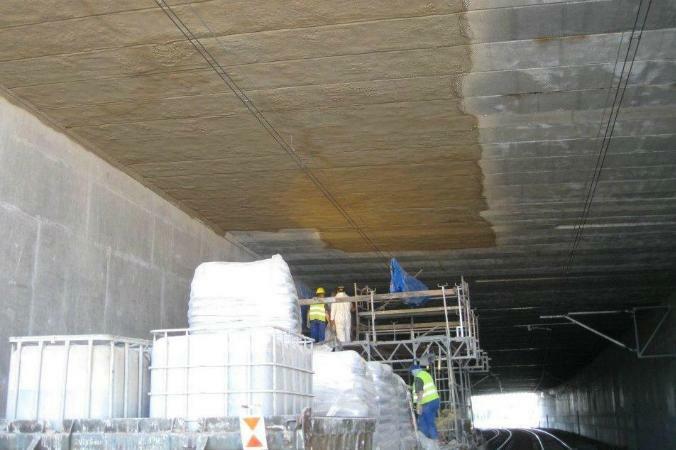 SLV External Grade was applied here to concrete, in order to increase and improve the Fire Protection requirements. In Leeds City Centre SLV External Grade was applied to both steel and concrete supporting a number of lanes of traffic above. The works were completed at night during which the road was closed. The fast application of the SLV External Grade ensured, that a restricted time application programme was achieved successfully. 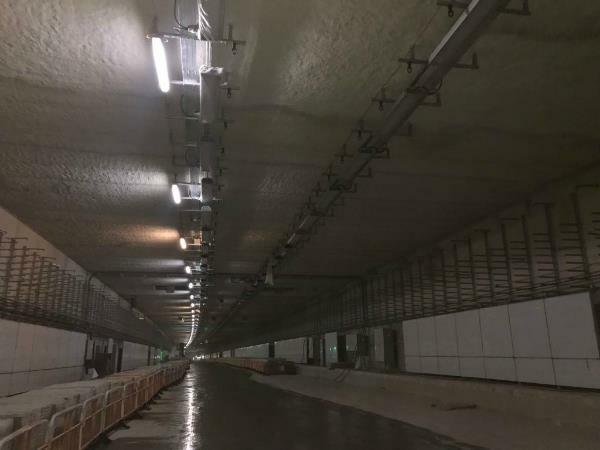 In Poland, various tunnels have been completed, including a rail tunnel along with a number of other passenger walkways and tunnels around Warsaw.These projects were completed, working again with local contractors, using SLV External Grade. For further in depth and detailed information on the above and any other projects please contact Thermica/Nestaan direct, where we would be delighted to help.